Petworth | Park View, D.C.
On July 12, at separate meetings, both Advisory Neighborhood Commissions 4C and 1A recommended Victory Housing & Brinshore Development as their primary choice for the development team to redevelop the former Hebrew Home property at 1125 Spring Road into a mixed income/multi-generational community. The two Commissions differed on their second choices. The Commissions’ recommendations will be sent to the Deputy Mayor for Planning and Economic Development (DMPED), where the final decision on selecting a development team will be determined. The Commissions differed on their second choices. ANC4C’s second choice was the NHP Foundation, Fivesquares Development, and Warrenton Group. 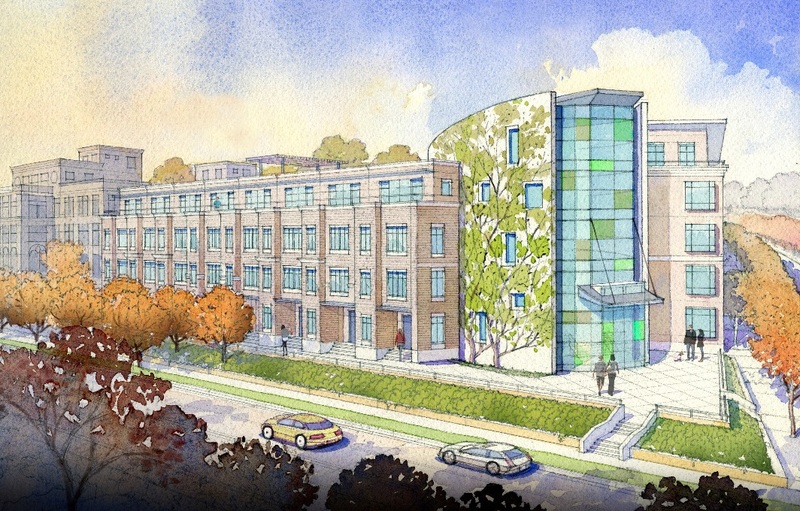 ANC 1A’s second choice, on the other hand, was the Bozzuto Homes proposal. ANC 1A further selected the Mission First proposal as its third choice. (read ANC 1A resolution at goo.gl/RChVH3 ). DMPED is expected to select a development team prior to the July 27, 2017 public meeting scheduled to present the District’s intent to declare the Hebrew Home surplus. The meeting’s purpose is to receive comments on the proposed designation of 1125 Spring Road, NW, as surplus property. The surplus meeting is held in order to receive feedback from the community on the District’s finding that the property is no longer required for public purposes. Comments collected at the public meeting will be submitted to the Council of the District of Columbia for its review. I’m happy to report that the nuisance property located at 805 Rock Creek Church Road was evicted yesterday. This property has long-been a know problem due to its use as a drug marketplace. Back in March MPD executed a search warrant at the place which resulted in MPD seizing multiple quantities of controlled substances as well as a loaded firearm. Three adult males were also arrested inside of the location. In September a judge finally granted an eviction for those using the property, and that was carried out yesterday. 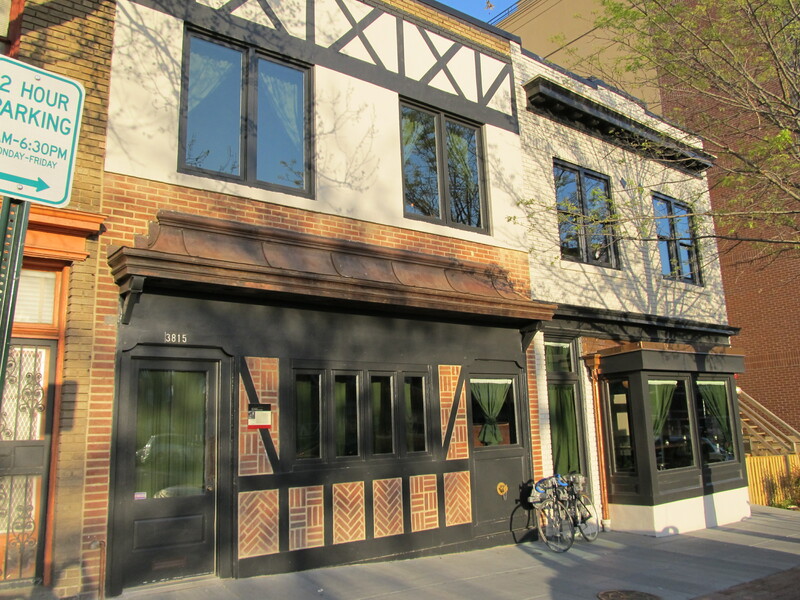 Back at the end of July 2016, Petworth’s Chez Billy closed to “refresh the decor” and launch a new “concept.” Now, four months since, it appears that we have a clue as to what a refresh of the decor actually means. 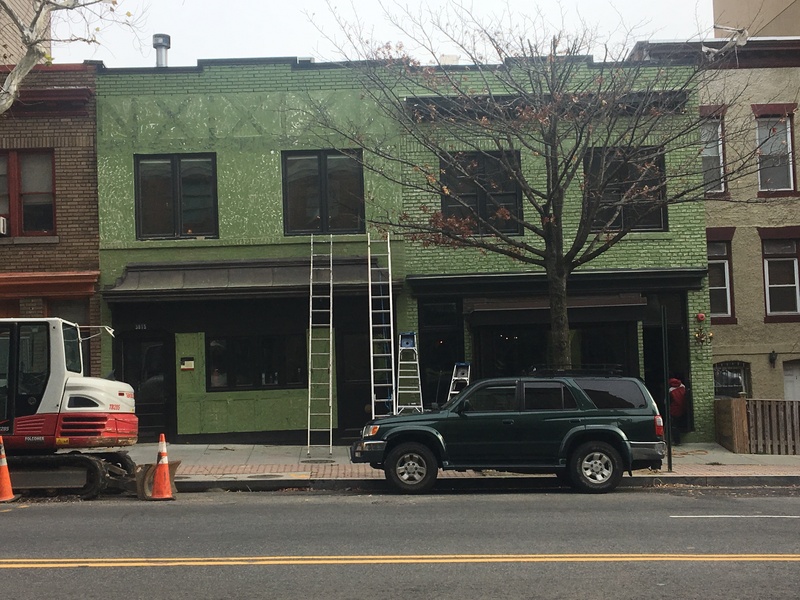 I was very disappointed to see that the exterior of the building is being painted an interesting shade of green with the covering or removal of the handsome Tudor elements. Personal tastes aside, the transformation of the exterior is particularly disappointing as the building was added to the National Register of Historic Places in 2009 (read nomination here) due to the site’s association with Billy Simpson’s House of Seafood and Steaks — which was historically significant for playing a notable role in the social and political culture of the District of Columbia’s African American community. 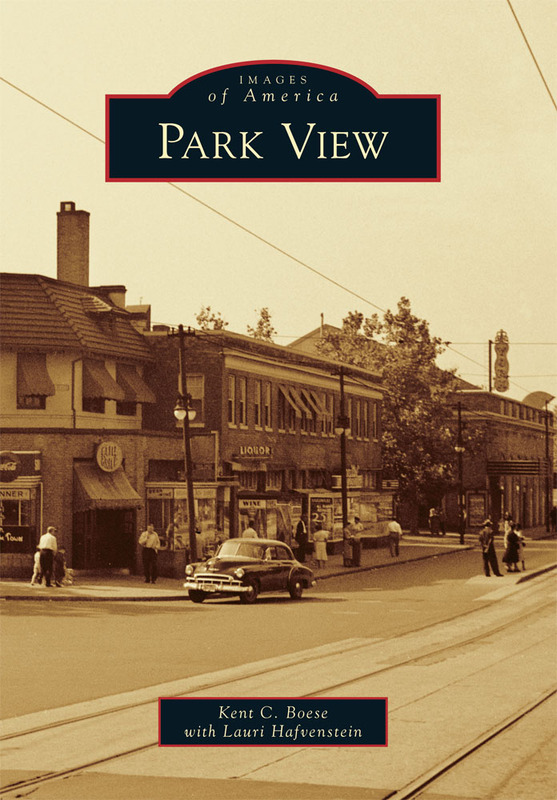 The restaurant was frequented by many notable people in politics and government, and the owner, William W. “Billy” Simpson, was an avid supporter of civil rights and anti-war causes. When the building was renovated for Chez Billy, the exterior was tastefully restored to be in keeping with the site’s history. Now it appears that all that will remain will be a plaque alerting passers-by that the building is on the African American Heritage Trail with a brief paragraph of explanation. The photo below shows what the building looked like before the refresh. 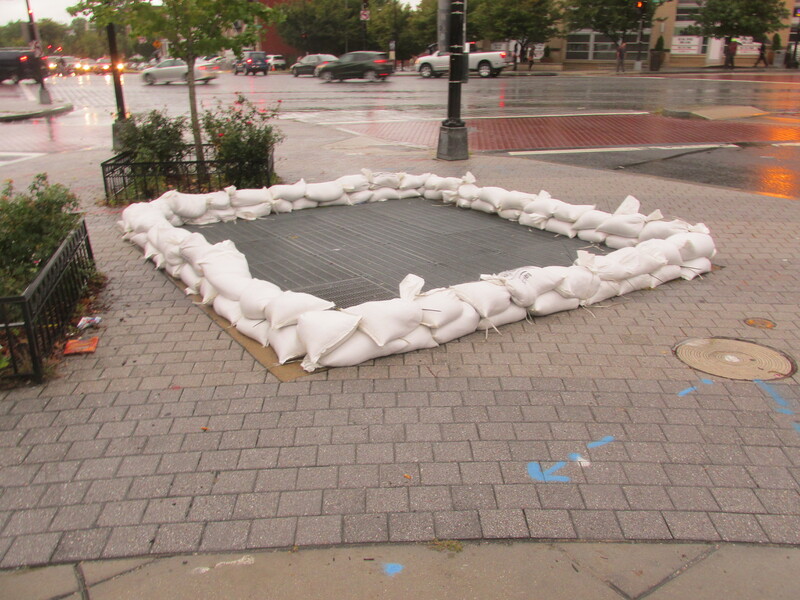 WMATA placed sandbags around the ventilation shafts at Georgia Avenue and New Hampshire Avenue to prevent flooding at the Georgia Avenue Station. 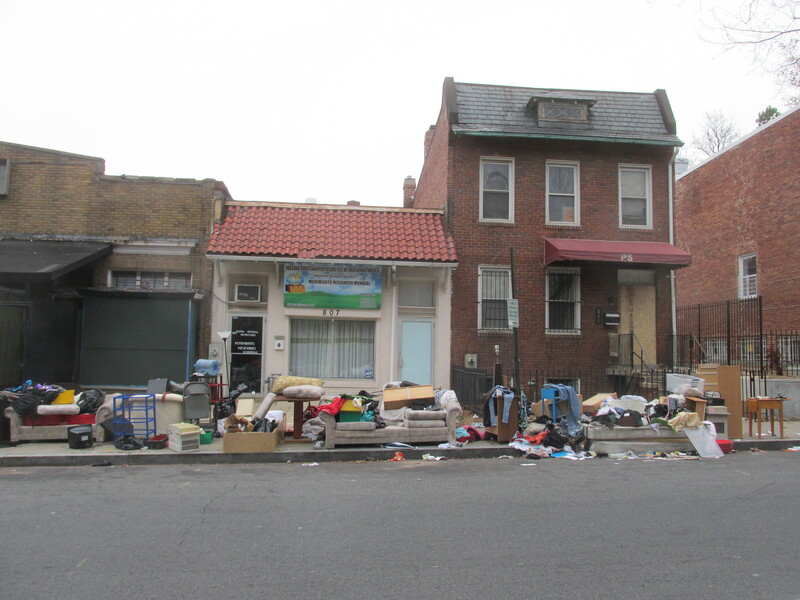 Evictions Headed for Nuisance Property on Rock Creek Church Road – Yesterday a judge ruled at landlord/tenant court that a writ of repossession be issued at 805 Rock Creek Church Road, NW, to rid the community of another drug nuisance property. 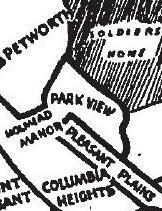 The next step will be to serve the occupants with an order to vacate (Petworth News). Woman Kidnapped from Petworth Bus Stop – A woman was kidnapped around 1 p.m. Tuesday as she was waiting for a bus outside the Georgia Avenue Metro Station at the corner of New Hampshire Avenue and Georgia Avenue. Two men forced her into a vehicle, asked her where she lived and then drove to her Hyattsville, Maryland residence where the suspects stole valuables and cash from the residence and then fled (NBC4, WTOP, WJLA). Concerns Over Adams Morgan Hotel Project’s Hiring Requirements Has D.C. Officials Reviewing Tax Incentives – After a week of reviewing a hotel developer’s failure to date to hire residents for construction jobs under the terms of a $46 million tax break, D.C.’s finance officials are preparing to pull the benefit if the company doesn’t make up for its shortfalls in the near future (Washington City Paper). Last night, a woman riding a bicycle was the victim of a hit and run at the intersection of Rock Creek Road and 7th/Warder Street which occurred around 5:30 p.m. In speaking with neighbors, I’ve been told that the cyclist was conscious after the accident but seriously injured and left in an ambulance. Neighbors also relayed that the vehicle had Texas plates, and they suspect may have been stolen as the driver fled the scene on foot after the collision. Police had the area blocked off and were redirecting traffic for a time following the accident. The Washington Post also provided some details of the event, which can be read here. Yesterday, the Deputy Mayor for Planning and Economic Development’s (DMPED) Office released the Request for Proposals to redevelop the old Hebrew Home site at 1125 Spring Road. The submission deadline is October 14, 2016, giving interested parties three and a half months to respond to both DMPED’s and the Community’s desire for the site. For those wanting to know more about what this site could be, you can read my notes from the April 9th and June 2nd OurRFP meetings and read the full RPF below. The second OurRFP meeting on the future development of the old Hebrew Home property at 1125 Spring Road has been scheduled for Thursday, June 2nd, at 7 p.m. Like the first meeting, it will be held at Raymond Recreation Center (3725 10th Street, NW). The first OurRFP meeting was held on April 9th, and you can read my report from that meeting here.